Rugs are always precious to their owners, both for financial and personal reasons, which is why if they become damaged, time is of the essence. 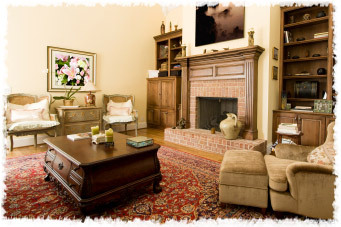 A rug left to deteriorate will be harder to repair or restore, and it will be expensive too. Here at Rug Cleaning Manhattan, we guarantee that when you leave your special piece in our hands, it will be treated with the utmost care from start to finish. We are professional and experienced, who’ve been in the business a long time, with the necessary skill and expertise to deal all kinds of tricky tasks. We employ only the most skilled and diligent staff, all of whom are kept constantly up-to-date with the most modern techniques. Our philosophy at Rug Cleaning Manhattan is that every rug deserves individual care. That's why we offer tailor-made solutions for every client, all ensuring that the lifespan of your rug will be extended for years to come. And when it comes to weaves and dyes, we understand what time-consuming and complex work matching them is, which is why we pay constant attention to detail. So whether your rug is Persian, silk, wool or synthetic, you can be confident that your piece will be returned in optimum condition. No job is too small for us and no challenge too great when it comes to rug repair & restoration. Call us now on (212) 677-7177 and speak to one of our friendly customer service representatives, who will be happy to discuss your specific requirements with you.